Prem, the Indian name for love was associated with a villain for a long time, thanks to Prem Chopra and Premnath. And then came Sooraj R Barjatya’s Maine Pyaar Kiya and Prem got associated with everything positive. Such was the impact of his debut movie that you will find many people who were born in the late 80’s naming their child Prem. Sooraj has given us two of the biggest blockbusters of Indian cinema, Maine Pyaar Kiya which made rebellion and to seek family’s approval to get married cool. The same idea was later copied by Aditya Chopra for his debut film DDLJ. Then came the biggest blockbuster perhaps, Hum Aapke Hain Kaun. Some dub it as a wedding video, but I would beg to differ as if that was the case then all wedding videos would have been massive hits. The impact of the film was not just felt in Hindi, but even in theTelugu industry where most films till date have a wedding as major plot point of the film. Sooraj had given us a mature and restrained Prem in Hum Sath Sath Hain, which did not garner much appreciation like his past two movies. Sooraj later changed tracks and tried to be cool, but that resulted in the awkward Main Prem Ki Diwani Hoon, while his next film Vivaah was a success, which I feel is his best work since HAHK. Times have changed, this is the fourth time Sooraj is reuniting with Salman. Ironically before this on all 3 times, Salman needed Sooraj to resurrect his career, but this time around Salman is on an all-time high, while it is Rajshri and Sooraj who need Salman. For those who have grown up with Rajshri films, we know what the logo stands for, in one word a film for the whole family. India remains one of those few countries in which cinema watching is still a family affair. 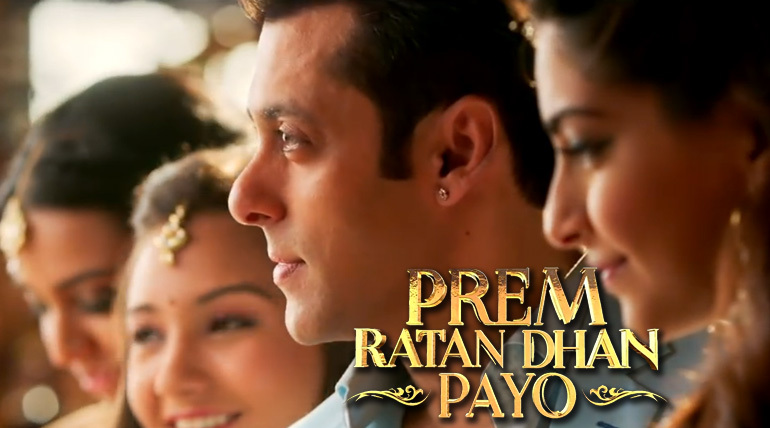 Prem Ratan Dhan Payo tells the story of the princely state Pritampura, inspired loosely by Ramayan. Sooraj brings back the gentleman Prem, the beloved son, the beloved brother and beloved lover back to the screen. The only problem here is, Salman’s best Prem kind of character this year was in Bajrangi Bhaijaan, the character of Prem from Prem Ratan Dhan Payo never matches up to the innocence of Bajrangi. The USP of Sooraj’s film has been setting a romance in the middle of a family background. The stolen glances, the smile exchanged during dinners and so on.PRDP has all this, but strangely this time we have no family. Remember how Prem wanted to spend some time with Suman in Maine Pyaar Kiya, but could not do it and it had an entire song revolving around this. Remember the boxing scene of Maine Pyaar Kiya or the dinner scene before the start of Pehla Pehla Pyaar hai in HAHK? Sooraj has this wonderful quality of bringing sexual tensions between characters in a dignified way, but here the chemistry between Sonam and Salman is missing. Sooraj focuses on Prem for a major part of the film, which is a major change from previous outings like HAHK or HSSH where every other character had a substantial role to play. Deepak Dobiriyal is wasted in a miniscule role, so is Swara Bhaskar. 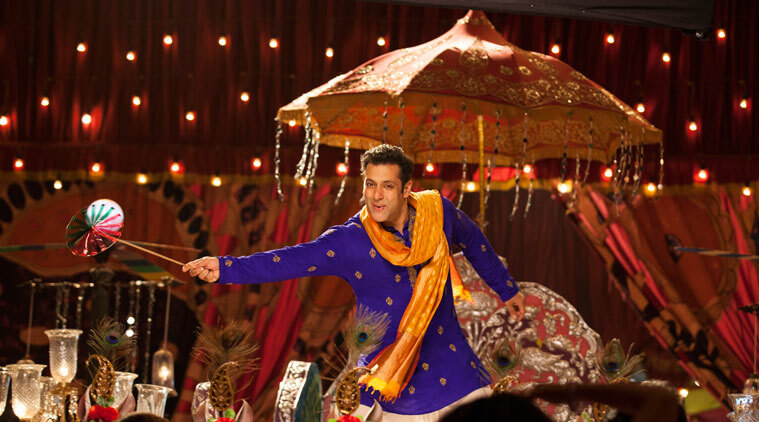 Like Rajshri films, PRDP deals with siblings in an acrimonious family, but Sooraj seems to be hurrying to get on to the next scene in this film. We were rooting for Suman and Prem, Nisha and Prem to be united, here we do not feel the danger. Here Prem is the all knowing guy, he is not the rebel or a brat, and here he is the head of the family which takes zing out of the film to an extent.Music wise, this has to be the weakest film from Sooraj’s stable, though we do have a sport song, a saree song etc which are usually the mainstay of Sooraj’s film. I must admit I enjoyed the movie while watching it, but felt the warmth exuded by characters of HAHK, MPK or HSSH was somehow missing.Sooraj needs to introspect for his next film, can he remain trapped by the success of HAHK or give us something different which he did after Maine Pyaar Kiya. 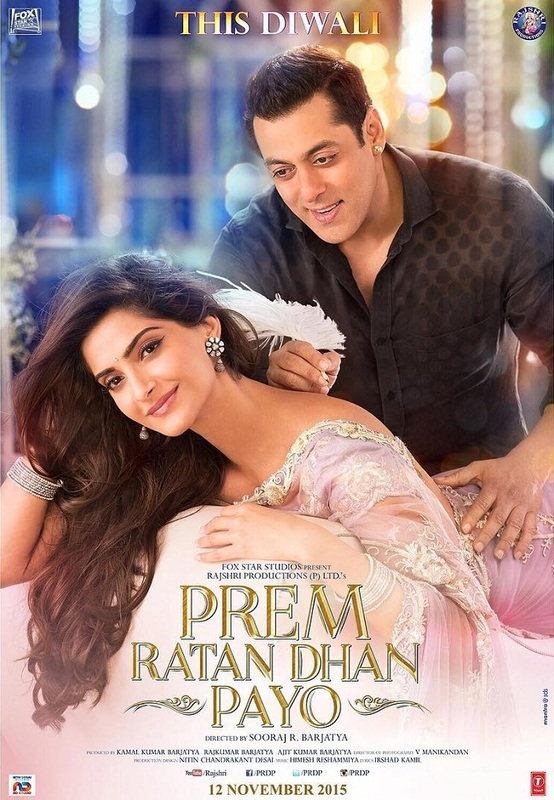 Overall, if you enjoyed Sooraj’s previous films you will enjoy it for old time’s sake or like me may be come home and watch HAHK on your TV all over again.All said and done, PRDP does not bore you despite its length, it engages you, but then Prem never remains with after you leave the theatres, unlike what Bajrangi did to us.